I m a ESL teacher from Portugal. I teach learners from the age of 12 to 17 in a secondary school in Portugal. I just love teaching and so here I am. Great song to discuss teenage problems - 3 different exercises: gap-filling, ordering pictures and a cloze-text on the song. I´ve also prepared an online version so it´s easy to correct the printable. Hope you like it. The text talks about how technological development has affected our lives, especially family life. The test includes several tasks: comprehension, grammar and writing. Hope it´s useful. Simple tasks to practise opposites through the use of prefixes. Hope you like it. This text is about bullying in school and its grammar focus is on the PAST SIMPLE. Hope you find it useful. This ws was designed to complement my PPT game on body parts uploaded some days ago. Hope you like it. Have a nice week. 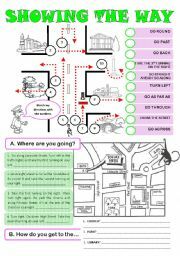 This is a simple ws to practise giving directions. 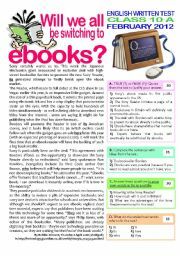 This test on ebooks focuses on the impact of technology on our lives. 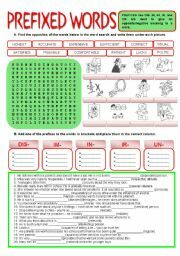 Again several exercises are included (reading comprehension, vocabulary / grammar and written practice). Hope it´s useful. Students can practise two types of double comparatives: COMPARATIVE + AND + COMPARATIVE and THE COMPARATIVE, THE COMPARATIVE. There are two different exercises. Hope it´s useful. Have a nice week. 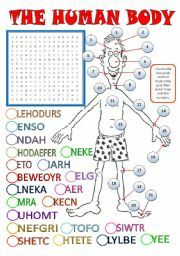 This ws is mainly intended to practise prepositions of place (gap-filling exercise)but through the matching exercise they can also check some words related to the bedroom. Hope you like it. 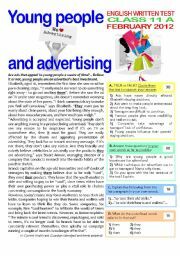 This test is about young people and advertising. It includes several tasks: comprehension, grammar, vocabulary and writing. Hope it´s useful. Have a nice Thursday. By looking at a family tree, students have to figure out the family relationships and click the right option. They can also listen to the sentences. Hope you like it. 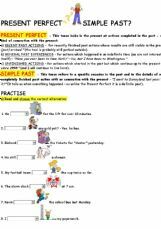 Students can practise the Present Simple of TO BE and HAVE GOT with 20 sentences all around the SIMPSONS (personal identification). I am also going to upload a ws (based on this PPT) for students to fill in while (or before) they play. Enjoy. With this PPT students learn about the aims and tactics used by advertisers to persuade us to consume/act. Illustrative ads are included to exemplify each point made. Hope it´s useful. Great PPT to revise vocabulary on describing people (hair, height, colours...). Clicking on the baloons will make them fly. Hope you like it. 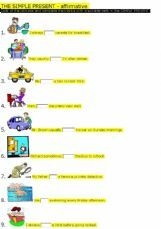 This is part 2 of the multiple choice exercise on family relationships. Students can practise typical TEACHER´S TALK in the classroom. They look at pictures and decide which sentence is correct. They will then listen to the correct one. Have fun. I am also preparing a PPT with STUDENT´S TALK. I had to divide this PPT in two due to its size. In this game students have to build correct sentences. The right words turn green and fall into place. Wrong words turn red. Students can also listen to the sentences (before or after the exercise). Hope it´s useful. This song is excellent to introduce the topic JOBS. Enjoy! Fully animated pictures to practise actions happening now. Enjoy. A practical oe with a brief explanation on word formation. 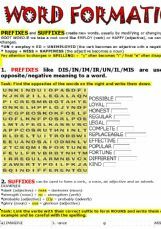 3 graded exercises to practise prefixes, suffixes and both (includes a word search, a matching activity and a gap-filling exercise with pics). Hope you can use it with your students. 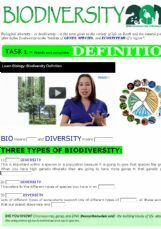 This oe deals with BIODIVERSITY (definition, threats to it, facts, benefits and GMOs). There are 3 very short and clear videos with a listening task and 2 vocabulary (matching) exercise. This is an oline version of the ws I uploaded today - so you can easily correct it in class. 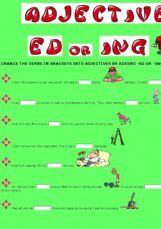 This is an easier online version of my ws on CONDITIONALS TYPE 3 where students had to rephrase the whole sentence. Hope it´s useful.